From the best places to ski on the mountain to the infamous nightlife and variety of restaurants, there is lot to learn about Verbier. And endless reasons to fall in love with the resort. Read on to find out all the reasons why we love Verbier. 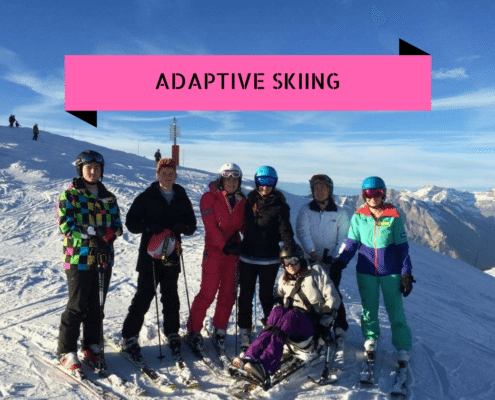 The resort is perfect for skiers and snowboarders wanting a challenge. It’s known as “the Mecca of free-riding” for a reason and has a plethora of mogul-ridden red and black slopes for thrill seekers. An absolute must is Mont Fort, which looms over the region at 3,300m and is the highest peak in Verbier. Catch a bubble up to the magnificent summit and enjoy the only spot from which you can see the Matterhorn and Mont Blanc at the same time. The adrenalin rush you’ll get from your controlled fall down from Mont Fort is worth the trip alone, but make sure to stop at Cabin Mont Fort on your ski down for a “assiette valaisanne”, “croûte au fromage” or “fondue nature”, washed down with a glass of Fendant, Gamay or Dole! When in Rome Rodney!! If you’d rather fly than fall, there are jumps-a-plenty lower down, but my favourite way to get down the hill is paraponting with Mike and Stu at Verbier Summits. During peak weeks, it beats queuing for the lift decent any day! It is also an attractive option for your inner daredevil. The Savoleyre sector boasts a 10-km toboggan run between the top Savoleyre lift station and la Tzoumaz. 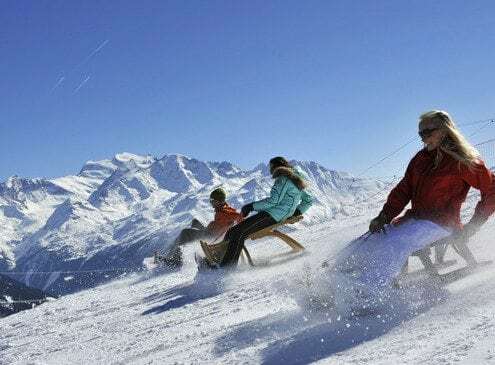 There aren’t that many toboggan runs in ski resorts and it’s really worth trying: an amazing experience! Lunch on the mountain is also an occasion for everyone here to enjoy and the higher altitude restaurants have an excellent reputation, especially Le Carrefour or La Vache. From the traditional raclette to dishes created by top chefs, the choice is varied and mouth-watering, something relatively rare in ski resorts. 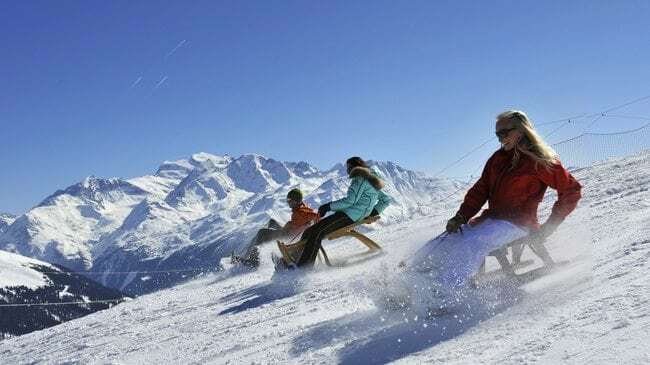 On to après ski, this is what Verbier is known for and it is said you haven’t experienced Après Ski until you have been to Verbier. Pub Mont Fort, Farinet and La Rouge are great for après ski and have to be experienced at least once. There is no doubt after a few hours at Apres you will be fast asleep by 10pm, happily exhausted, ready to be up bright and early the next day. However, if you have the stamina then Verbier doesn’t stop here! Farm and E’toile Rouge are the best places to visit for a real night on the town. Our latest find in Verbier is the ‘Escape Room’ and it was probably the most entertainment we’ve had in a long time! We won’t spoil it for you – you’ll have to check it out for yourself. After all the skiing and Apres, there is no better way to treat yourself to a massage. We often use The Verbier Touch and Elisabeth’s sport massage is the bee’s knees! They will come to your chalet, hotel or apartment and leave you in a state of relaxed tranquillity. Skiing off the nose of the Grand Desert glacier. There are wonderful restaurants, people and shops in Verbier and there is always something going on. Freeride, Boss de Boss, Live music in the bars and free vin chaud on occasion outside the tourist office! 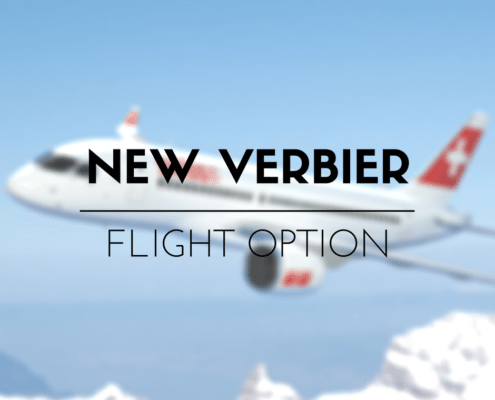 Come join us and we will happily show you why we love Verbier. Why do YOU love Verbier? Let us know in the comments below.